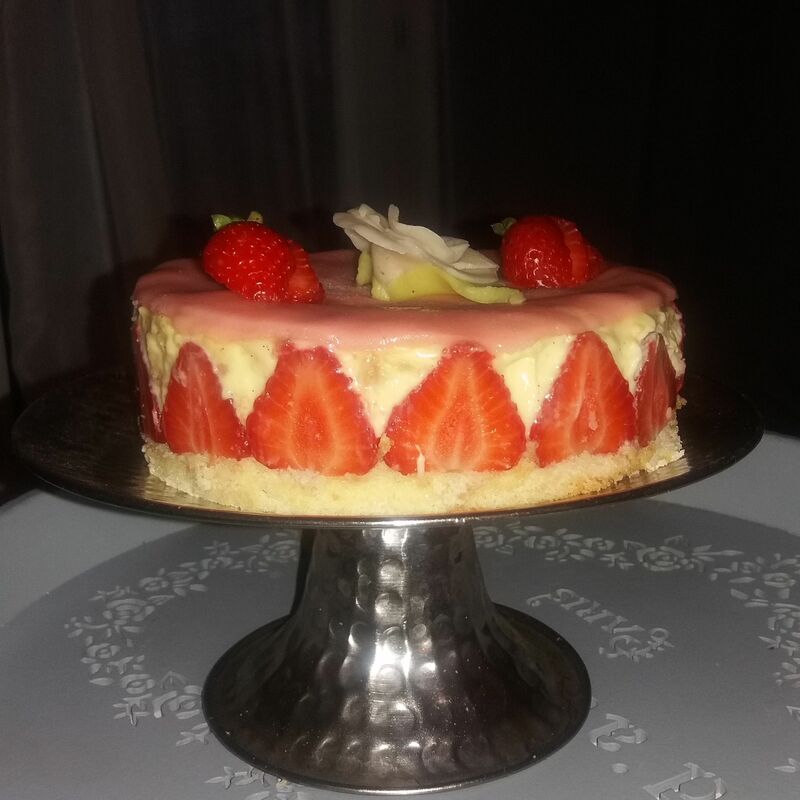 The "Fraisier" is one of my favourite french cake ! 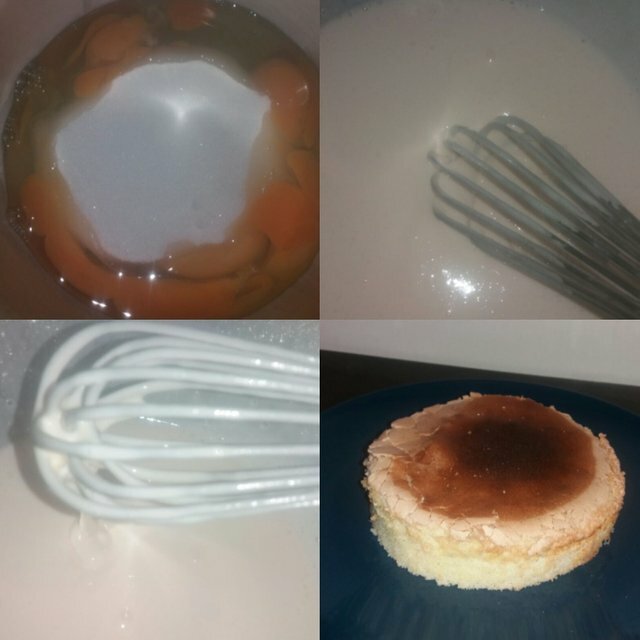 To prepare it we need for the sponge cake: 4 eggs, 125g of flour and 125g of sugar. We start by mixing the eggs and sugar until a foamy mixture after we add the flour. Our dough is ready we'll put it in the oven 20 minutes at 180 degrees . 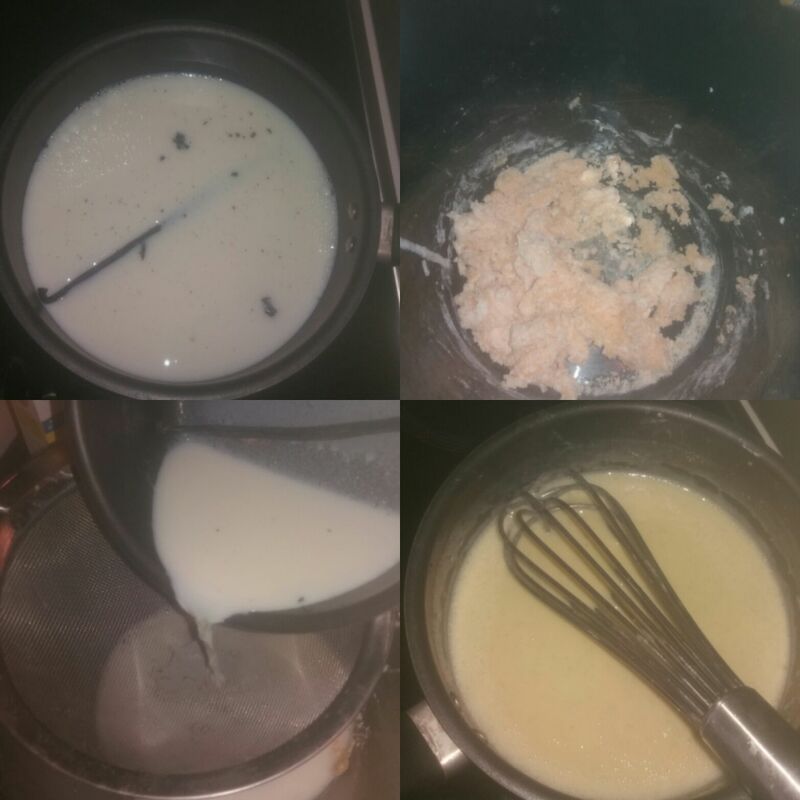 500 g of milk, 2 egg yolks , 30 g of flour and cornflour, 130 g of sugar and a vanilla bean. At the first, we heat the milk and vanilla. In a bowl we whitened the egg yolks and sugar then added flour and cornflour. Next, we add the milk with the vanilla and back all on low heat until cooked. Once it's cooked, mix cream with 250 g of butter. The next step is to prepare the syrup to soak the sponge cake : 140 g of water and 60 g of sugar. 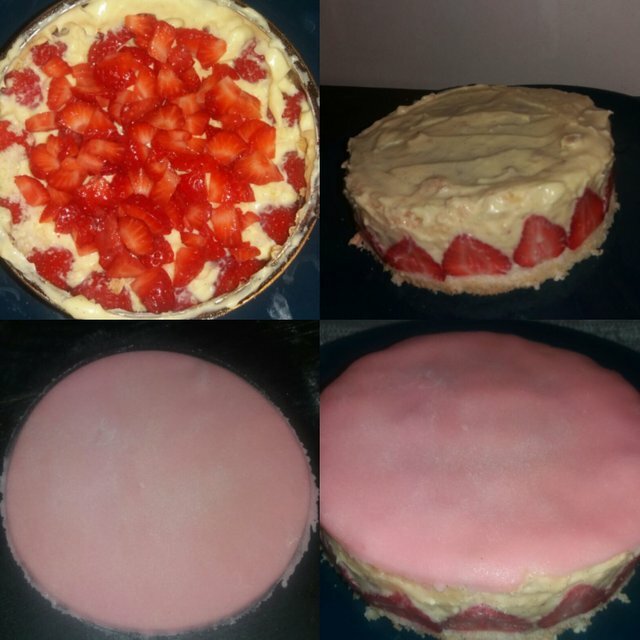 For installation we cut the strawberries on 2 and the Genoese on 2 or 3 depending on the thickness obtained. 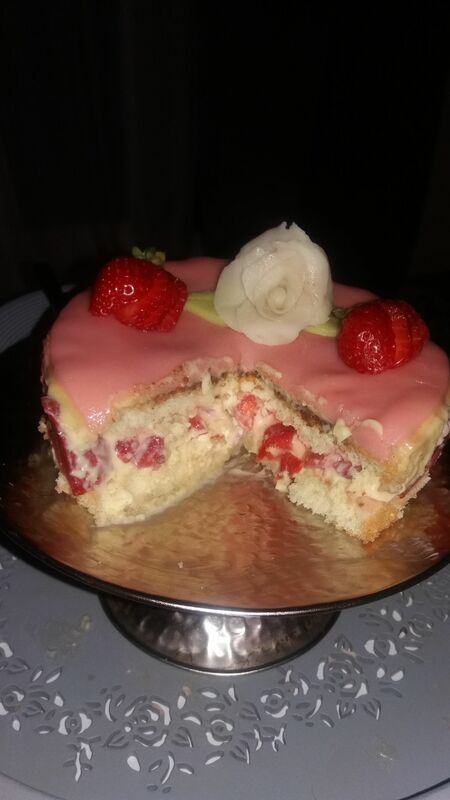 We tackle the strawberries against the edges of the mould, we placed the sponge cake and we finish by the cream. We end up with a sugar paste and we can decorate by flowers made by pasta sugar .